Medium Large Presents brings the very best in fair to middling entertainment. Whether you long for the great visual expanse of a YouTube video, the nonpareil production values of a homemade short film or two to four minutes to kill, Medium Large Presents is the inimitable one-stop media hub for anyone who has ever longed for the day visuals would meet audio over some sort of network or something. 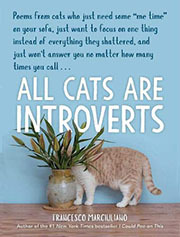 Feel your cat has what it takes to become a published author? Want to show up your neighbor’s dog who sounds like he can bark “Hello!” Then enroll your future feline author in “The Writing School for Cats” Here they will learn everything they need to express their inner thoughts, bring to life their greatest hopes, and learn ow to work a QWERTY keyboard without any thumbs. 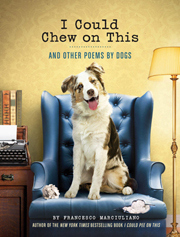 Brought to you by I Could Pee on This, Too: And More Poems by More Cats. and unregulated North Pole work conditions. Inspired by the poem from the New York Times Bestselling book I Could Pee on This and Other Poems by Cats, “Kubla Kat” tells the classic tale of one kitty’s grand dream that was perhaps influenced by something other than simple napping. Animated and read by Tom Racine. A long-forgotten 1951 classroom film from Medium Large’s educational archives (Bake Your Way to Marriage!, How to Cripple a Bully, Polio: God’s Judgment Against Gays ), this short exposes the chilling, horrifying, alarming truth about comedy in a fun, fact-filled format. I discovered your marvelous “What is Comedy” video over 3 years ago… it sticks in my head and so I always seek it out and watch it again every couple of months. And every time I watch, it is just as funny as the first time I saw it. You’ve created a classic.